Showing this kind of posing cheat sheet to your model is indeed a very good way to prepare your subject for a photo shoot and make him feel more relaxed and confident at the same time. 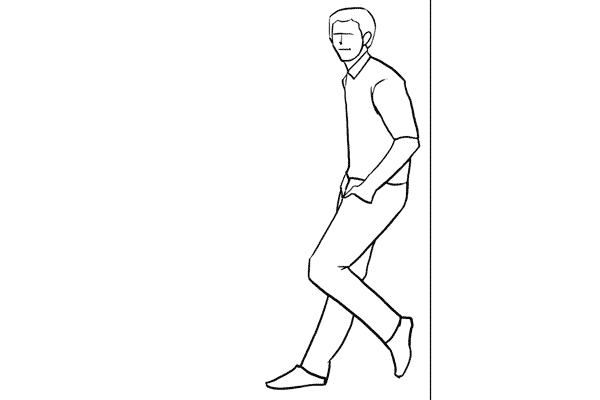 So, let’s look at some sample poses for men. 1. 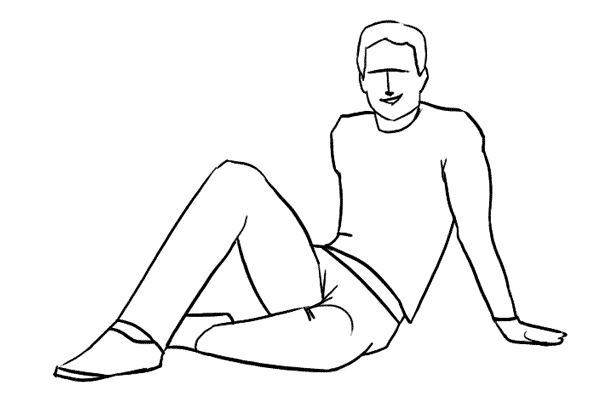 Very simple pose for a man’s portrait. 2. Crossed arms works very well in full height shots as well. There are four places to keep your hands. #1. Loosely by the side. #4. Both hands crossed on the chest. 4. 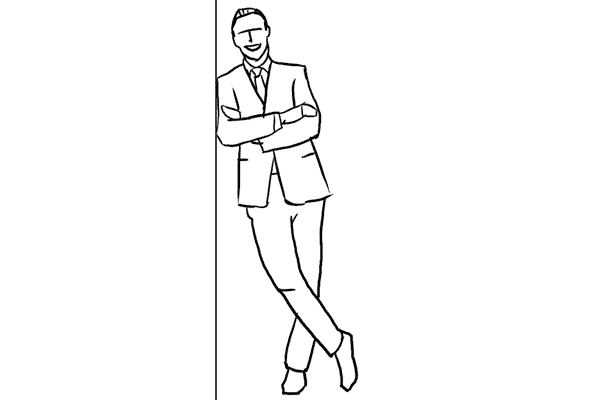 A casual pose for an uprightly standing man. 5. Just a slight variation to the previous pose. 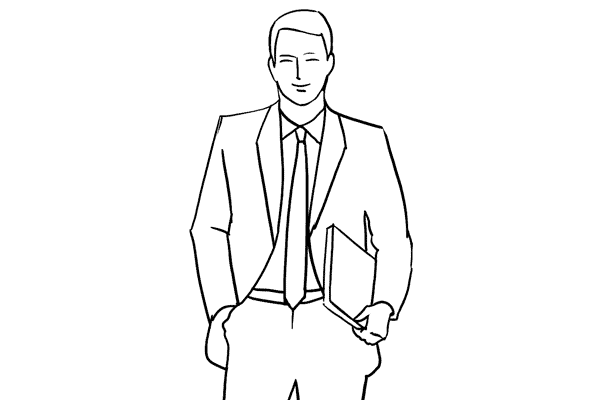 Some piece of clothing over the shoulder, merely a thumb in the pocket, and legs crossed work very well. 6. 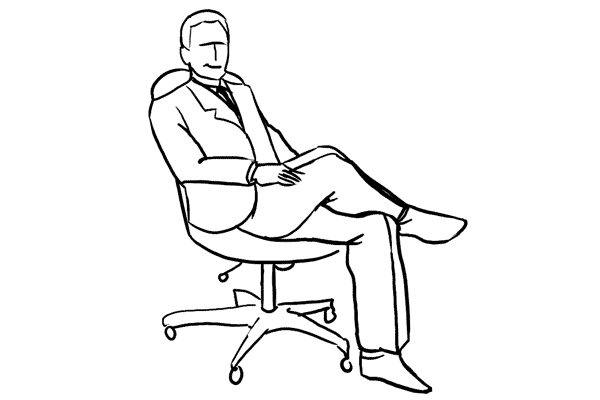 For a sitting pose, putting the ankle of one leg onto the knee of the other looks relaxed and natural. 7. Leaning against a wall is just another variant for upright posing. 8. The sideways way of leaning against the same wall. Works very well for both casual and formal shots. 9. 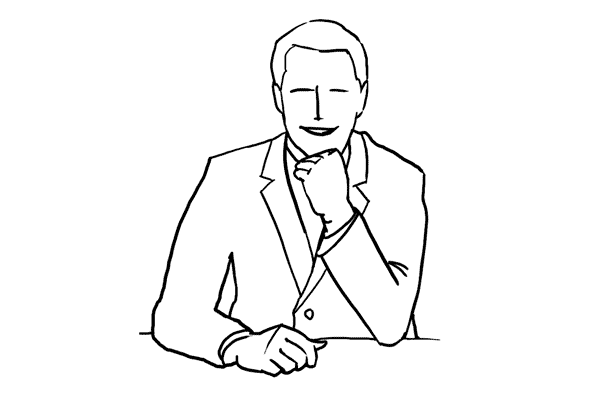 Very simple pose for a formal portrait. Items held in the hand can work as insignia that point at the subject’s occupation. 10. 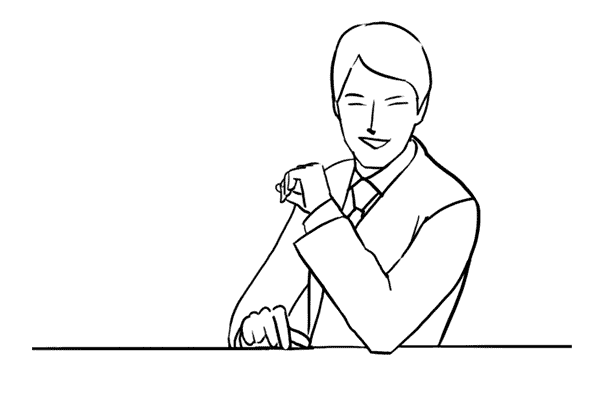 Against common belief, it is absolutely fine to make shots of a man sitting partly on a desk. For formal portraits such a pose might counteract rigidness. 11. 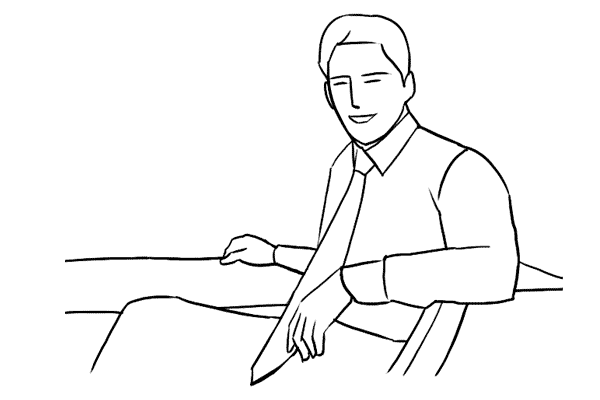 Very simple pose for a portrait with a man sitting at a desk. To reveal the subject’s profession place work related items on the desk that can function as insignia. 12. A slight variation of the previous pose. Very appropriate for formal portraits. 13. To show the work environment while removing the distance created by a foreground object like a desk, take your shot from the back side. The result will be formal but inviting at the same time. 14. 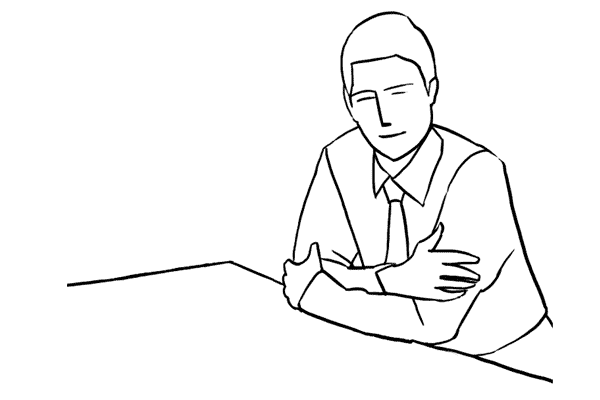 A man supporting himself on a desk with arms crossed. Again you could place work related items on the desk to point to the subject’s profession. 15. Using a chair as a prop can make a portrait more engaging and interesting. Very suitable when introducing creative people in their work environment. 16. Sitting comfortably in a chair usually works for a corporate and formal portraits. 17. 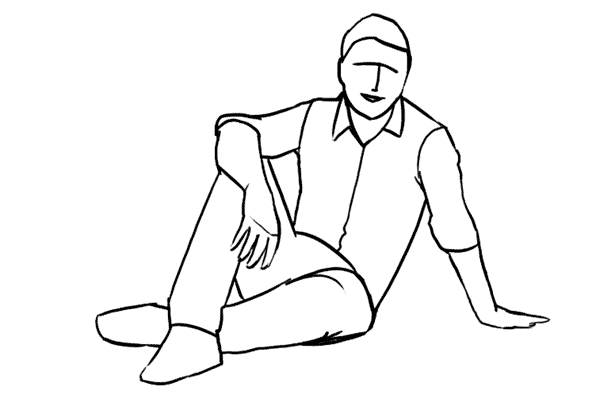 Easy and natural pose with a man sitting on the ground. Try different shooting directions and angles. 18. 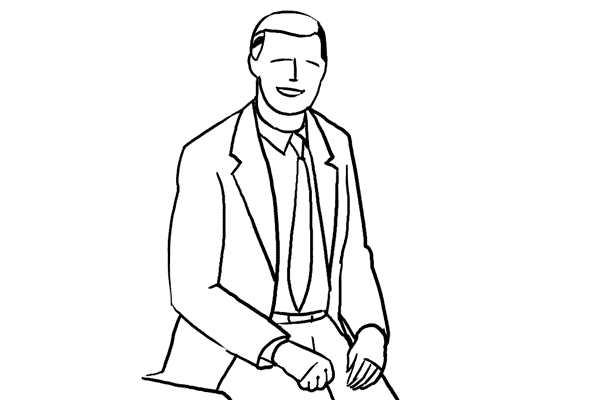 Another variant of a man’s pose while sitting on the ground. Suitable for outdoor locations. 19. 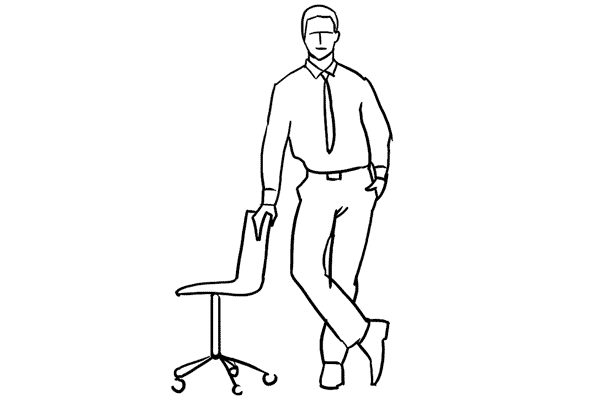 An easy and relaxed looking pose for a sitting man. 20. 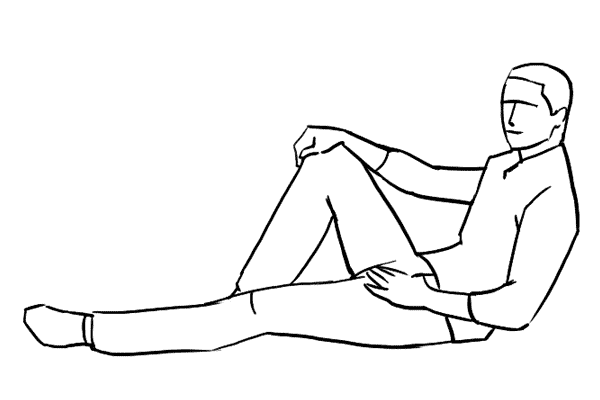 Informal pose. The man is sitting on the ground resting his back against the wall or some object. 21. Finally, let your subject be the protagonist of your picture. 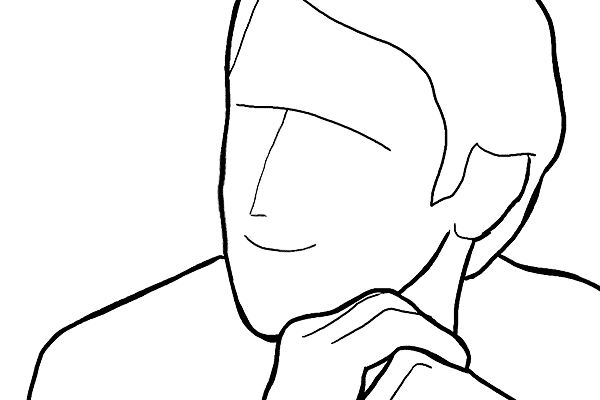 Never be afraid to crop tightly around the model’s face. That should be at least something to use as a starting point. Again, remember that there are no absolutes, each sample pose might and should be adjusted depending on your shooting environment and scenario. There is no need to overdo anything. Actually, all you need for good people portraits is simplicity. Simple backgrounds, simple clothing, simple poses and natural expressions.